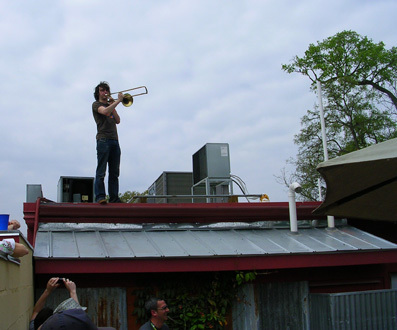 In just a few weeks central Texas will once again become the hipster capital of the world, attracting thousands of music fans, old guys, posers and wannabes for the big bacchanal called South by Southwest. Officially SXSW is a conference for people in the music bidness with a bunch of “official” events supposedly showcasing new and emerging talent for record label types, radio station types, music writer types and so on. 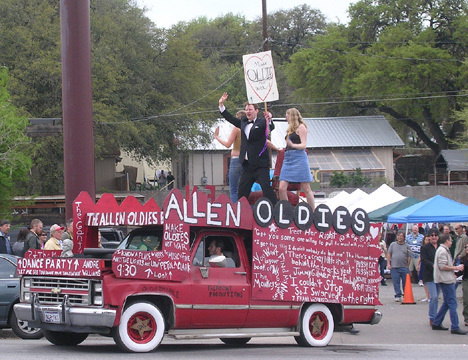 But let’s face it – the week that usually coincides with Spring Break in Austin, Texas, is about the stuff that goes on beyond the “official” confines of SXSW. I believe this festival stopped being about showcasing emerging new talent a few years ago, now it’s a massive tourist draw for the city of Austin. Don’t get me wrong – the event does manage to preview some breaking new talent but more and more that task falls to the unofficial shows, which have exploded to eclipse the main event. Let me try to explain – officially SXSW sponsors conferences and “showcases,” short (around 30-40 minutes apiece) sets in a number of venues around town where acts can play. (In addition to the music festival, there is also an interactive event and a film festival, but we’re not talking about that here.) There is usually a mix of new stuff, established artists with a new album coming out and big names who just want to drop in and share the vibe. This year, about 2,000 musical acts will play in 80 spots around Austin. 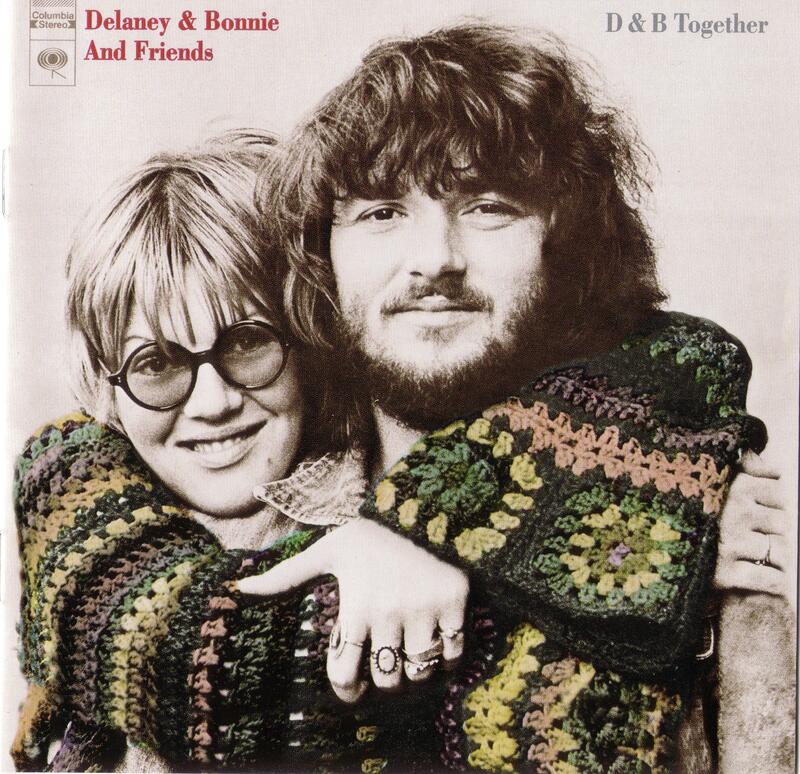 Today we have a great album to share: D&B Together, from Delaney & Bonnie & Friends. The husband-and-wife team of Delaney and Bonnie Bramlett put out some great records in the late 1960s and early 1970s. They started out on Stax Records, and you can get an idea of what these two funky white folks had to sound like to record for the likes of Stax (home to Otis Redding, Wilson Pickett, etc.). Delaney Bramlett is one of the great rock bandleaders, perhaps underrated today but certainly not when he was in his prime. Bramlett not only had his fiercely soulful singin’ wife, but he recruited some of the greatest musicians to play backup on those Delaney & Bonnie albums. D&B Together, from 1972, is the duo’s sixth album and man, they don’t cut records like this any more. First, the band: Delaney, on guitar and vocals; Bonnie, vocals; drums, Jim Gordon (Derek & the Dominos); bass, Kenny Gradney (Little Feat); keyboards, Billy Preston! ; keyboards and vocals, Leon Friggin’ Russell! ; more bass, Carl Radle (Derek & the Dominos); more drums, Jaimoe (Allman Brothers); more keyboards, Bobby Whitlock (Derek & the Dominos); and even more bass, James Jamerson (Motown)! Now the guitar players – Eric Clapton, Steve “The Colonel” Cropper, Dave Mason and Duane Friggin’ Allman! Nice, eh? The album kicks off with Mason’s “Only You Know and I Know,” which was a hit for Delaney & Bonnie. Led by Bonnie’s soulful vocals (with backing vocals – oh I forgot those – by Merry Clayton, Rita Coolidge, Clydie King, Tina Turner and Eddie Kendricks, among others) the song establishes the easy rockin’ and intoxicating mash of soul, rock, blues and country that seemed to be so easy and unforced back in the early 1970s. “Wade In The River of Jordan” could have been a tambourine-shaker from any white or black country church, and Delaney’s “Well Well” is another tasty slab of rockin’ soul. Many listeners may be put off by the mere existence of American VI: Ain’t No Grave, recorded by Johnny Cash in 2003, as he lived the final months of his life. When June Carter Cash died in May 2003, Johnny mourned his wife of 35 years by stepping up his recording schedule. By the time he died a scant four months later, Cash had put enough music in the can to yield the posthumous American V: A Hundred Highways in 2006, and this album, his final one in the American Recordings series with Rick Rubin. Sure, Cash’s voice breaks down into a wheeze at times and the subject matter may be overly dark – but the ailing singer still had enough snap to know this was going to be his final statement. Kicking off the album, the title song is as chilling as anything Cash ever recorded – keeping time to a stomping drum and the shaking of a ghostly chain, the singer fights off the Grim Reaper by declaring “ain’t no grave gonna hold my body down.” Cash’s reading of “Redemption Day” (written by Sheryl Crow) takes on a similar urgency, but this short album isn’t entirely dark. “For The Good Times,” written by Kris Kristofferson is perhaps the best cut on American VI, and “I Can’t Help But Wonder Where I’m Bound” is elegaic without being morbid. The closing track, and Johnny Cash’s goodbye to this world, is “Aloha Oe.” Producer Rubin has said this song choice was Cash’s own – if so, even on his death bed Johnny Cash still had a sense of humor. In fact, the final song somewhat redeems the second half of an album that seems to run out of gas as it progresses. Still, it’s a fitting final chapter to a legendary career. Should you get American VI: Ain’t No Grave? Sure – if only for those first few tunes, which become classics in Johnny Cash’s hands. You should hear the entire American Recordings series, too. 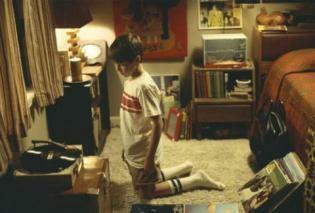 Don’t wait for the box set. You can hear a new song off Roky Erickson’s upcoming album True Love Cast Out All Evil today over at Pitchfork. The song is called “Goodbye Sweet Dreams” and, like the rest of the record, it is backed by Okkervil River and produced by the band’s Will Sheff. True Love Cast Out All Evil is Roky’s first album of new material in 14 years. The album includes found sound and archival recordings from the time Erickson spent confined at the Rusk State Hospital for the criminally insane and mentally ill in the early 70s. Anti- Records will release the LP in the United States on April 20, and the UK release will come on June 7 on the Chemikal Underground label. To hear or download the new song, go to Pitchfork. Great Little Steven interview on Norwegian TV. Thanks to Backstreets for the tip. We streamed the song last weekend; here’s the video. “Valleys of Neptune,” by Jimi Hendrix. Viewing this short promo video this morning made me happier than I’ve been in weeks. The British Invasion – what a great time to be alive. One of the best bands to come out of that movement was the Small Faces, comprising Steve Marriott, Ronnie Lane, Kenney Jones and the great Ian McLagan. Amazon will start selling ’em on March 30 but if you go to McLagan’s website you can order a copy now – and he’ll autograph it for you! You are currently browsing the 30 Days Out blog archives for February, 2010.